Those are both pretty Darn good. Especially that the first one took you hardly any time at all. A few more drawings from me. This time based on the Chaos Freedom RP game on the site. Some of you may have seen some of these, but probably not all. 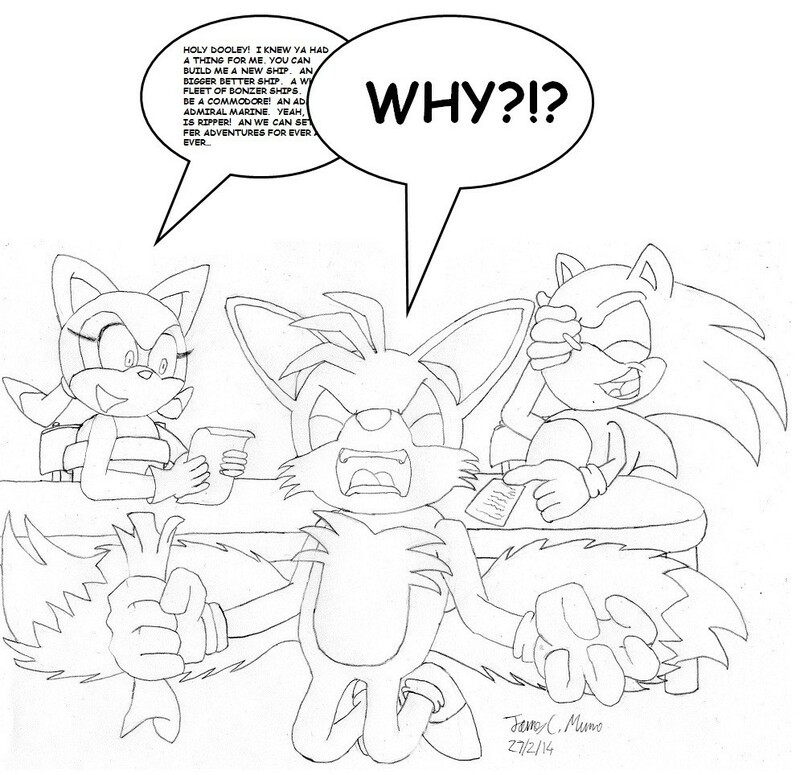 So, two characters from the game, who originally started as a joke conversation between me and my friends of ‘What would Tails’ kids be like if he married X?’ Unfortunately for Tails, the suggestion was Marine! And then the conversation moved from ‘yeah, that’s funny’ to ‘hmm, actually they’d be fun to play in an RP’ so here we are. Rather than have a straight Melody/Skye parallel I tried to mix things up a bit. But, before anyone asks, the reason I gave the older sister the name Skye is [rant] Skye is a girl’s name!! [/rant] Otherwise they’d both have gotten new names. Oh, and if you’re wondering what the weird wibbly-wobbly stiff is in the first two pictures, both kids are hydrokinetic. Okay, there was one more reason I used the name Skye. So I could do this glorified doodle. Skye meets Skye. I only can draw Metal Sonic and Metal Scourge. I don't know why. Metal Scourge was in StH 191 and 192. I gave him sunglasses and a jacket like Scourge has. 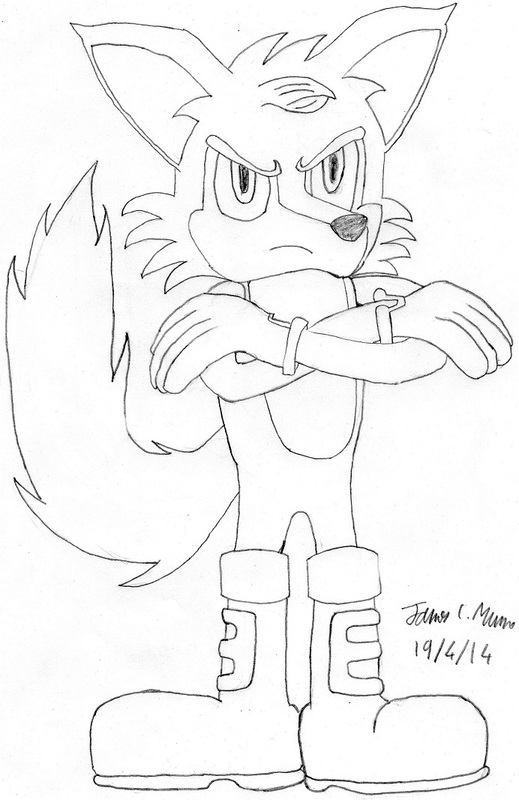 And here's my latest drawing, Tails from the Universal Anarchy RP. 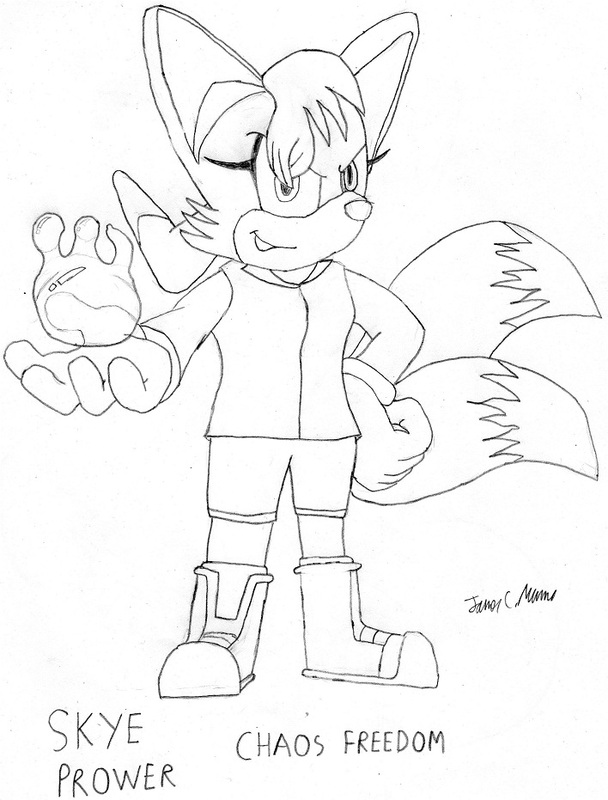 Tails has Nicole because at the start no one was actually playing Sonic or Sally, and I wanted someone to have the older sibling/mentor role for Tails. And it allowed there to be someone to teach him tech. 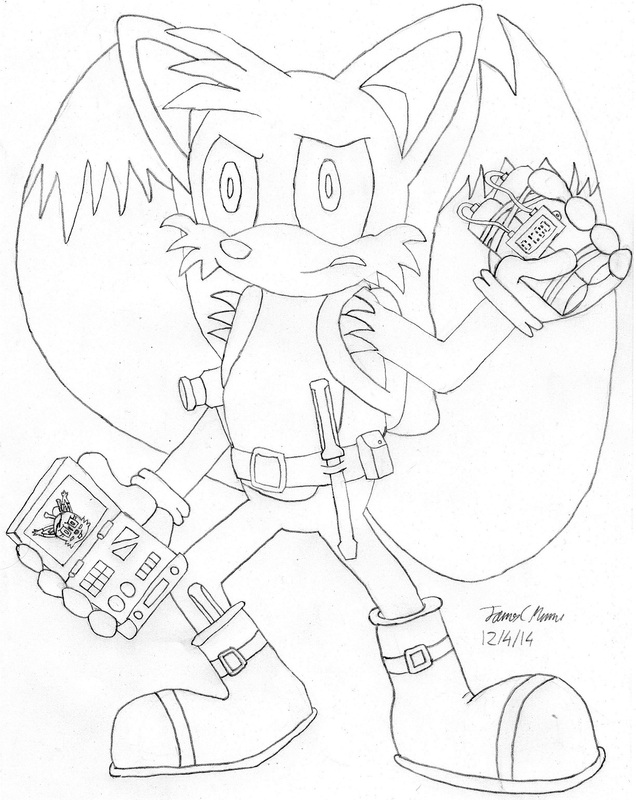 Plus, it's also a shoutout to the Fleetway Tails, who had a similar handheld computer in his Zonerunner stories. As for the bomb, well, those of you who've played Tails Adventure know the kid does like his bombs! But the cherry bomb design didn't quite work in this case. Thanks! Well I draw Metal & Metal Scourge before a lot of times and then I fall in love with the Mega Man Universe. Tails & NICOLE! What a great duo! 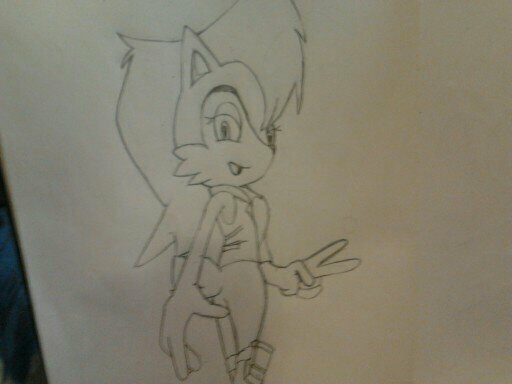 I can't draw Tails, so your picture here is really cool. Keep moving! Thank's very much. Though like you can't do Tails, I can't do more human like faces either. So we're kinda mutually exclusive there! And have to say I hate fingers too, though shoes are quickly becoming my new bugbear! I tried my best...female Metal Sonic. 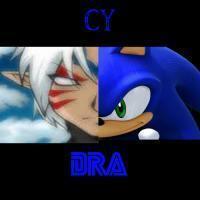 LOL Px Yea Metal Sonic you have the licence for killing me. Gotta say it's pretty amusing. I wonder what would happen if she met the regular Metal Sonic. I've been at the drawing board too. Another RP character. This time it's Dygo from TDH. He's the son of Drago Wolf and Mina Mongoose in the dystopian alternate future. Also a temporal half-twin to Skye Prower. 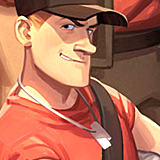 Unlike Skye, he's arrogant, prideful and a bit of a bully. However, like Skye he does has a nervous steak. Just one he's learned to control, mostly. The nose of your OC is like 3-dimentional, but when you look at the chin its 2 dimentional (hope you can understand, whan I try to say),s o it looks a little bit weird. Have you a picture with all your Fox-OCs? There are a lot! Ah, yes I see what you mean about the nose/chin. I should have added an extra line where the nose met the chin. First time I've done a muzzle like that though. Very nice drawing. Though nine tails does suggest an extremely powerful character. Wow, that's really good. And, this might not be intentional, but I do get a slight 'creepy enchantress' vibe from her. You can still be a creepy enchantress on the good guy side! Yay! Sally! Really good! Is it only a sketch or will you put colours on it? It's just a sketch right now. 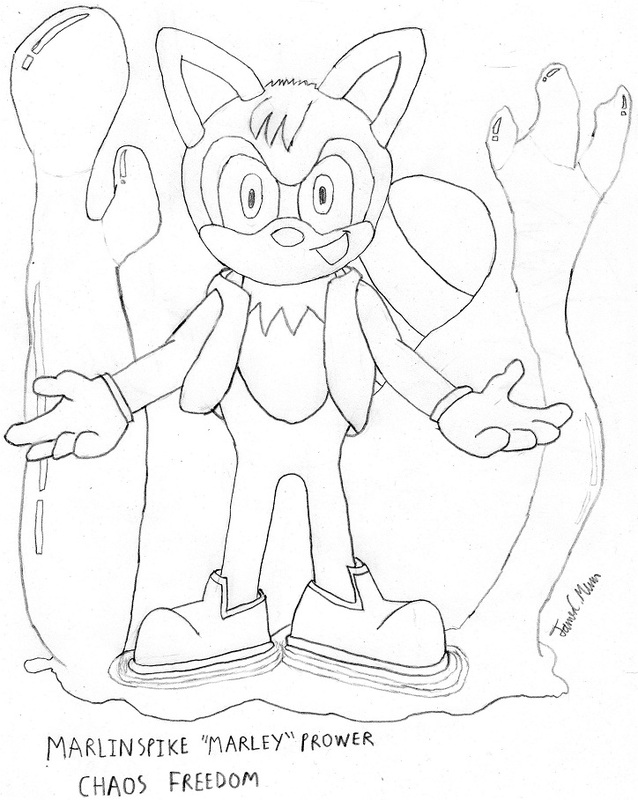 I'm going to clean it up, and I might add color later. What can I say? Pretty good! 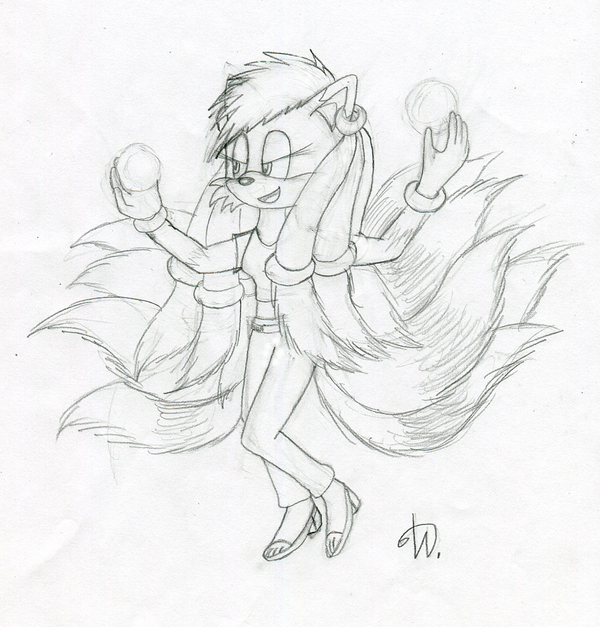 It was a female version of Metal Sonic...I don't even know why me and NMS had the idea...^^"
Kinda, that's how he is! ;) That and it's how I wanted to draw him. But when you live in a dystopian future, and you're sharing your brain with someone you think is a coward, yeah, it can get annoying.